The past few months I really have been living in comfortable "athleisure" during the day. Especially if I have a lot of running around to do with the kids. Getting two kids in and out of the car to run my errands is a lot of work (it basically is the only workout that I do) so it is really nice to be in comfortable clothes. 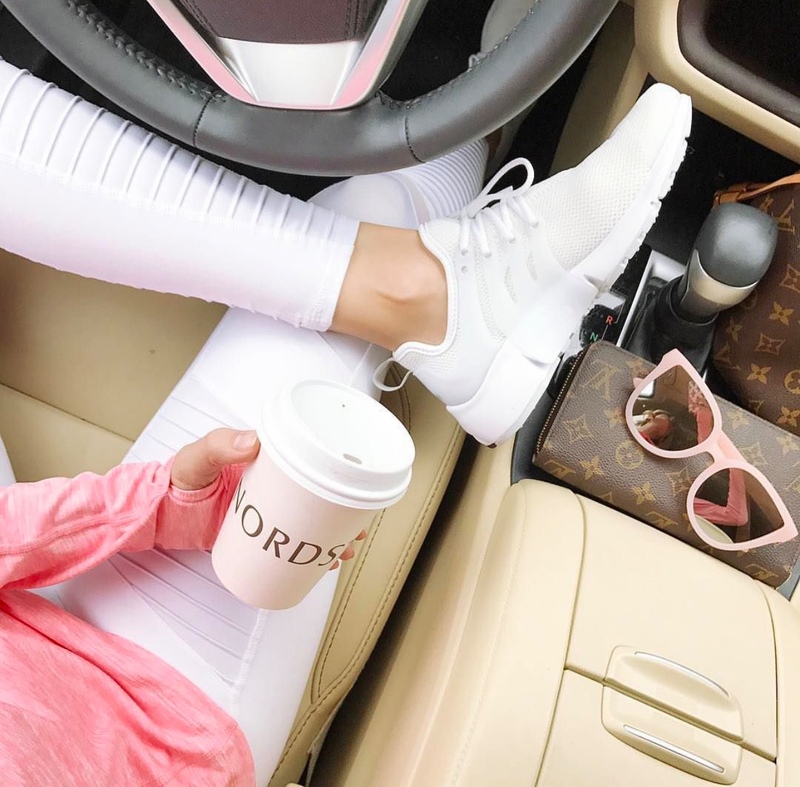 So, today I thought I would share my recent favorite comfortable "athleisure" outfits.I love that there are now so many cute options so I still feel somewhat like I tried to look put together. I have a few pairs of Nike's and they are my absolute favorite. There are just so many cute pairs now I even wear them with jeans. They are so comfortable and its so easy to run around with the kids. I usually just wear a really low ped sock with them. I don't like it when you can see my socks. The Alo moto leggings are my absolute favorite. I wear my white pair all of the time (but I also have them in black and in navy blue) because they go with everything. They aren't see through at all (I get asked that a lot). Whenever I wear leggings I usually like my top to be a little on the longer side so I just do the same with these. I also love that now there are so many cute leggings. They aren't just plain old leggings. I basically chase around two kids all day everyday! So these outfits are my go to everyday "mom uniform". Lincoln is not crawling yet but man he gets around. I take my eyes off of him for one second and he is across the room. And he weighs 23 pounds so lifting him all day sure is a workout. And Andi recently has become a little challenging. The terrible twos are in full effect. these leggings are so cute..I love them..
Love all these looks! Makes me want to ditch my jeans and put on something comfy haha! Cutest "mom uniform" I've seen! Love the white ones! Those Anthro leggings are just so cute! These see-through althleisure leggings are so cool. Really love how you've shown them out and about in a variety of scenarios. Great style. Thanks for sharing! Love these athleisure outfit. They look so casual and stylish enough for an easy day out. Thanks for sharing! 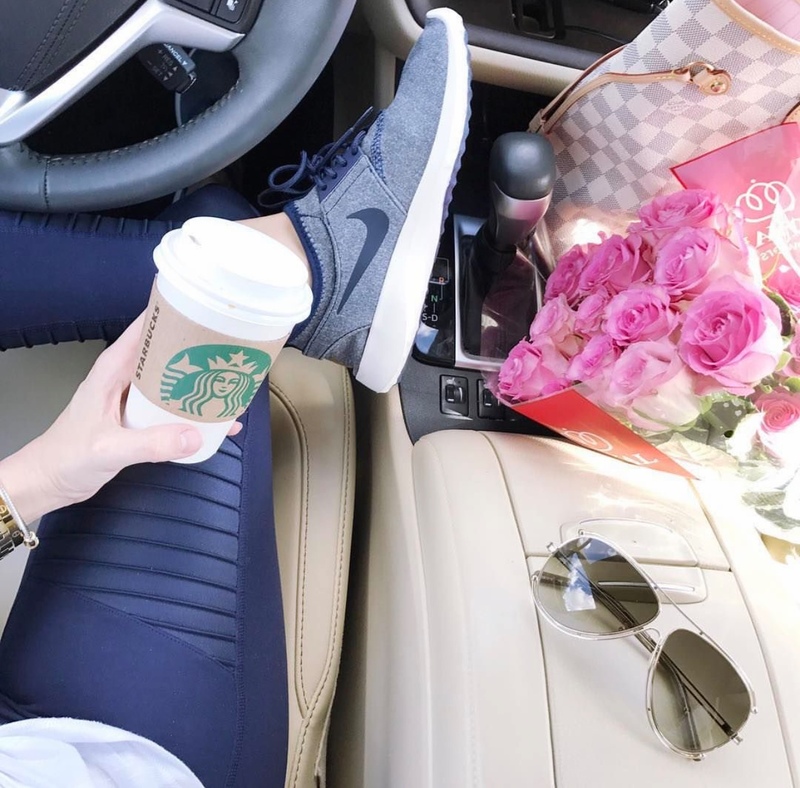 WoW, Thanks For Sharing i fell in love with those leggings they are so cute and perfect to wear.